Inspired by hazy, sausage-filled trips to Berlin, Get Wurst bring some of the best authentic German Bratwurst to the London table - after all, it’s just not enough to get your only UK currywurst fix at Christmas time. The team import all of their sausages from the German Munsterland region and wrap them up in cloudy, crumby and freshly baked brioche buns from a local bakers. 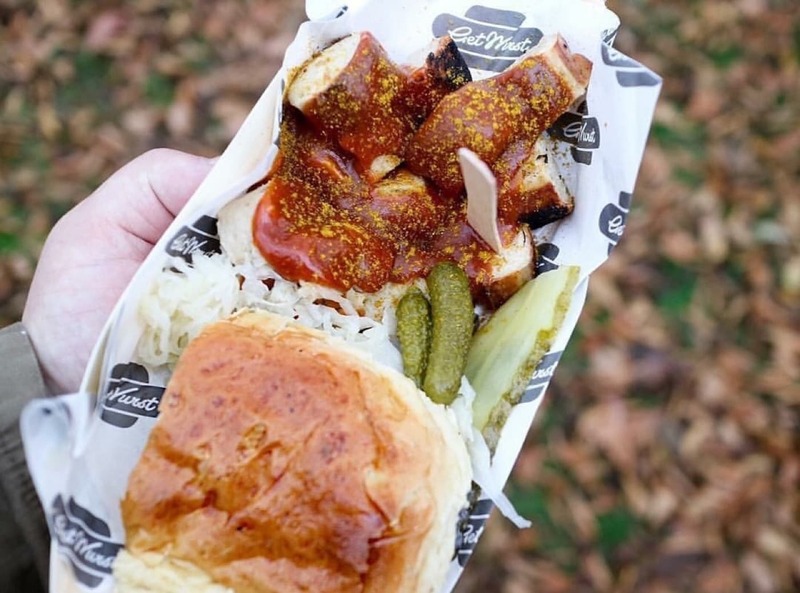 Their homemade curry sauce is a revelation and taken to new heights with a heady concoction of beer fried onions, sauerkraut and punchy pickles for a Bavarian knees up on the taste buds. 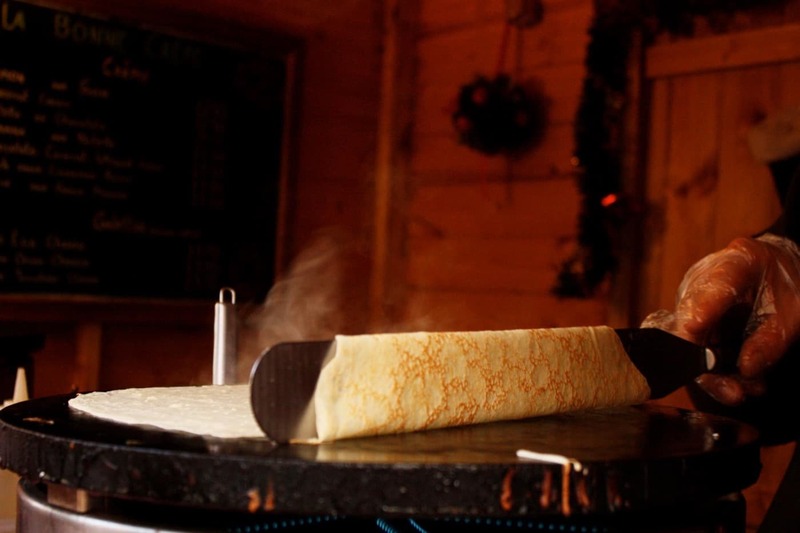 The once rumbling bellies of Bristol were quelled in 2007 when La Bonne Crepe began serving up a certain je ne sais quoi. 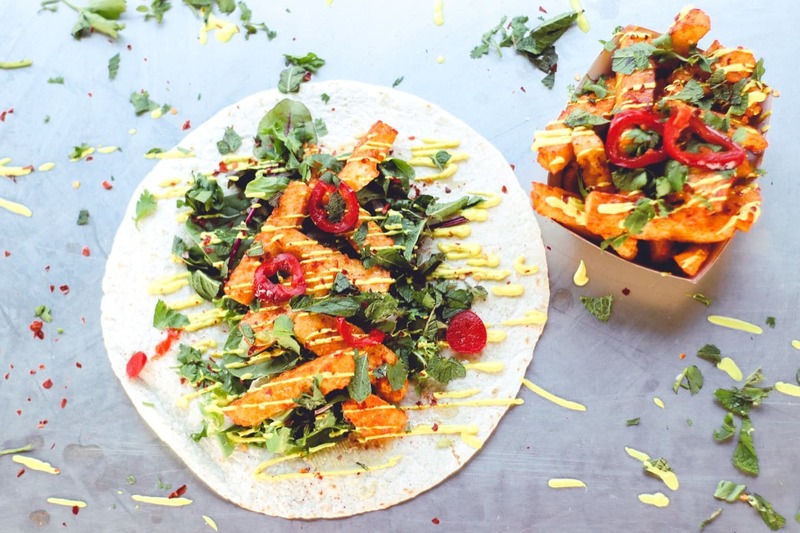 The savoury crepes and galettes are made with organic buckwheat flour which is wheat, dairy and gluten-free, and the sweet crepes are made with wheat flour - they’ve now added vegan options to their sensational menu too! All the fillings are specially chosen for their quality and assembled following traditional French recipes, and are fairtrade, organic and local wherever possible. Arancina are an artisanal Italian street food favourite who serve up thousands of customers every day with their unique fresh 'pizza alla pala' and regional snacks, including their famous deep fried Sicilian arancini, since all the way back in 1996! This is a pizza like no other due to their super secret recipe which gives their crust a crunchy bite with a cloudy, airy and light dough. After years in the business honing their craft, Arancina’s now available for event catering with their beautiful Fiat 500 set up. 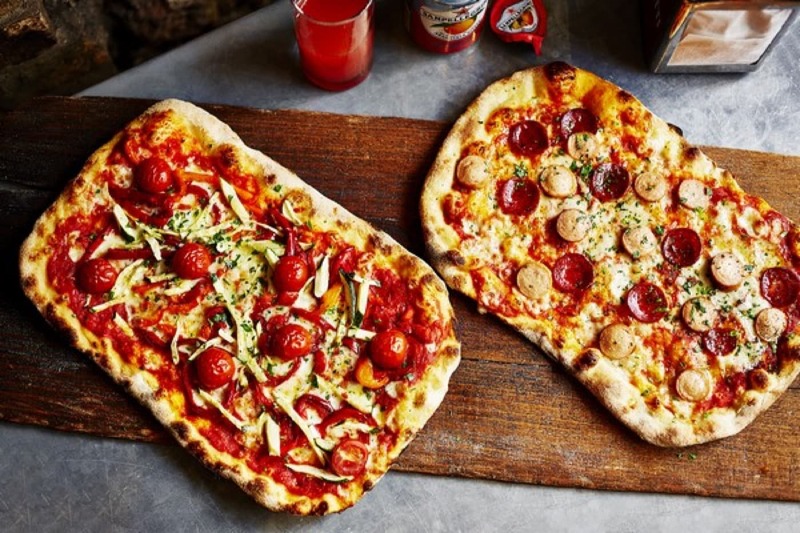 If their pizza pie gloriousness hasn’t won you over already, our Founder Hugo lives just down the road from their restaurant and picks up a pizza at least once a week - you’ve heard it from us! A guaranteed winner. Back in 2012, Los Churros Amigos came to a man who took his first bite of heaven. The moment that deep-fried, fluffy octopus leg of joy hit his lips, he saw his churro adventure before him! 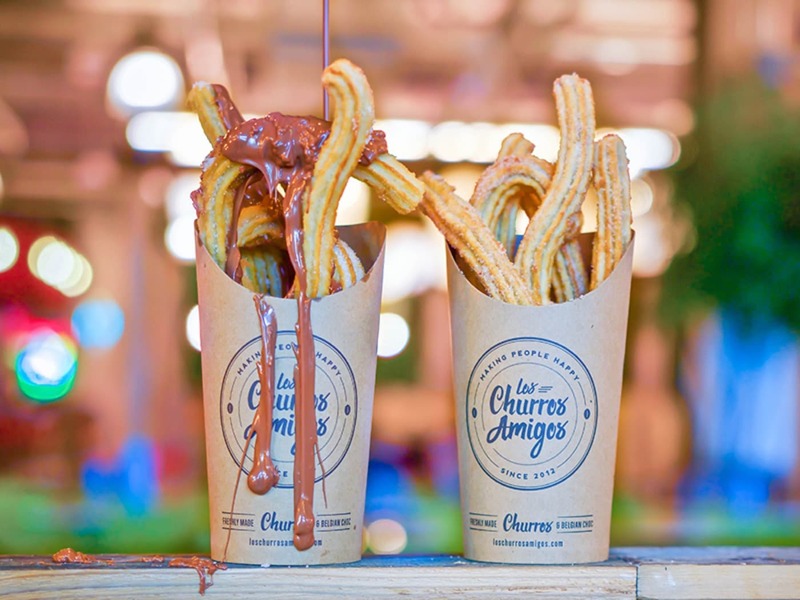 The perfect mix between traditional Spanish heritage and the British sweet tooth, the amazing Hugo Tracey’s churros are freshly (and in many ways sensually) made in front of you, with organic flour and completely vegan ingredients - minus the choccy dips obvs! From Wembley to Glastonbury, Bestival to Twitter HQ - Los Churros Amigos is ready to make an amigo out of you and spread the churros love at your next fiesta! Halloumi is pure heaven, end of argument. Now imagine this: the salty halloumi you know and love so well dipped in a sweet honey glaze, sprinkled with mint, coriander and chilli, pickled Roquito Chillies, smoked paprika, sumac salt and topped with a turmeric yoghurt… We know, take a seat, it’s almost too much for one Halloumi addict to handle. The Halloumi Guys serve halloumi fries and packed flatbreads to the adoring masses from their awesome white and pink corrugated iron set-up which is draped in flowers. A centrepiece and spectacle in every regard, The Halloumi Guys will have your guests talking about your events for months after! Roll up our Dutch entry! Lekker Bun serve the tastiest, crispiest, deep-filled krokets and bitterballen this side of Amsterdam! 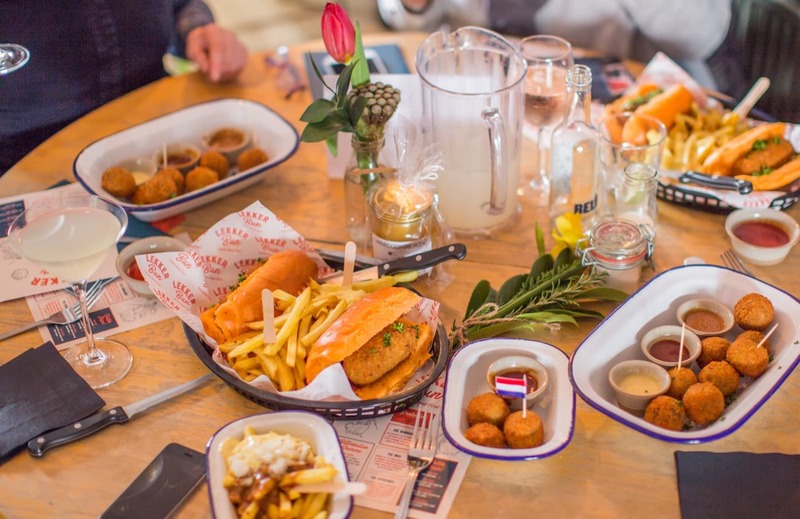 With perfected hand-me-down family recipes at the helm and inspired by tales of Dutch colonialism, Founder Willem has burst onto the UK food scene with bold, fabulously challenging and exciting flavours. Asking you to ‘Grab your balls here’, you honestly won’t regret obeying Willem’s order - he’s the King of Krokets after all. Portuguese cuisine is all about succulent, slow-roasted meats and nobody slow-roasts better than Piccolina. All of their meats are sourced from UK farms, grass-fed and free range and are completely mindblowing. 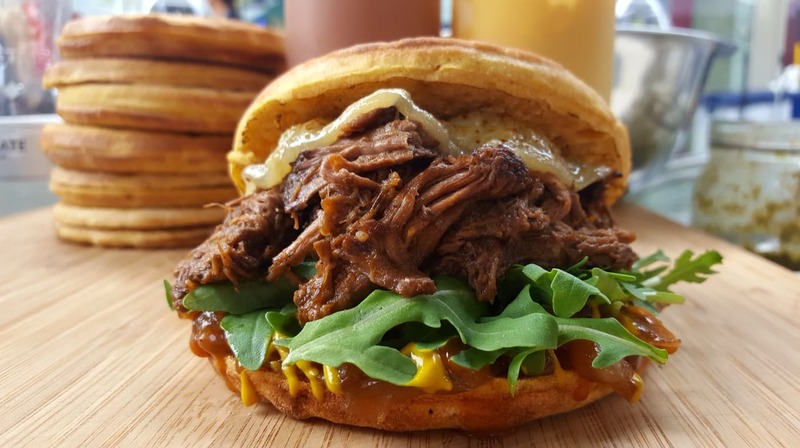 The pulled meat are cooked on a low and loving heat for at least 8 hours using a special array of homemade seasonings to ensure it’s as tender and juicy as you could possibly imagine. People whose diet is sans meat - do not fear! Piccolina serve an equally delicious Portobello Mushroom burger for you to get your chops around and delight in their Portuguese perfection. Their previous clients speak for themselves, the super cool Monzo, WeWork and Badoo amongst the many who have enjoyed Piccolina’s signature sweet potato buns. Funky and fresh, Polish-European fusion Slow Food Truck will get the party started as soon as they pull up in their 1988 VW truck. They serve monstrously marvellous gourmet grilled baguettes - such as their incredible Zapiekanka - that are a foot-long journey of flavour-packing happiness. Our favourite has to be the FIne Polish Sausage: a freshly baked baguette filled to high heavens with homemade tommy sauce, polish speciality sausage, grilled mixed cheddar cheese and mozzarella with salad, plum tomatoes and gherkins - wow. Our Belgian offering, is of course, waffles. In 2013, Jenny and Des did the world a favour and created Bourneville Waffle Company. With a playful and innovative menu, the pair love to serve their customers with something new and different, providing each and every person with a unique culinary experience. 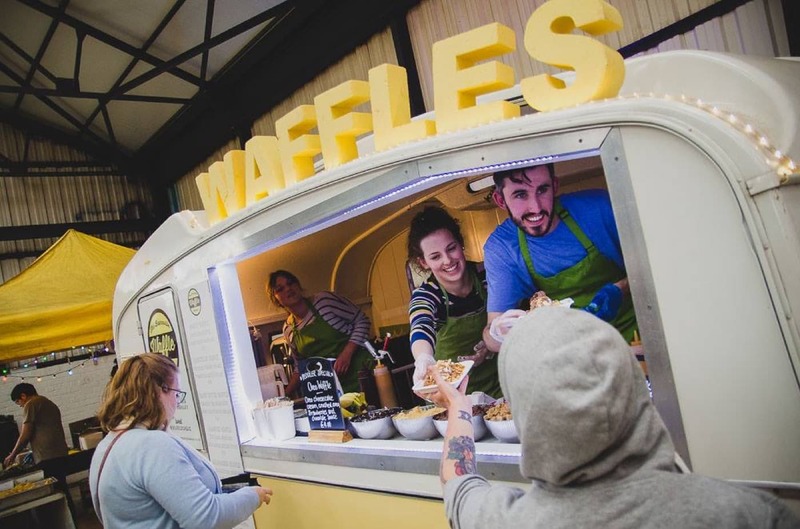 If they aren’t catering music festivals, street food events or food festivals, you can book Bourneville Waffle Company and their glorious refurbished caravan for your own celebrations and events - no job is too big or small for these waffle wonders! The Great British BBQ is an emotional experience for many a UK citizen - a Sear Street Kitchen have perfected this age-old art, bringing together modern techniques combined with the traditional method of live fire cooking, over quality charcoal. Using their modern ceramic big green egg barbecues and Japanese Konro grill, they always strive to deliver great flavours. Their creative menu is always fresh and exciting but our favourites have to be their barbecued lamb bun with harissa mayonnaise, crispy onions and feta - it’s a sizzling sensation. 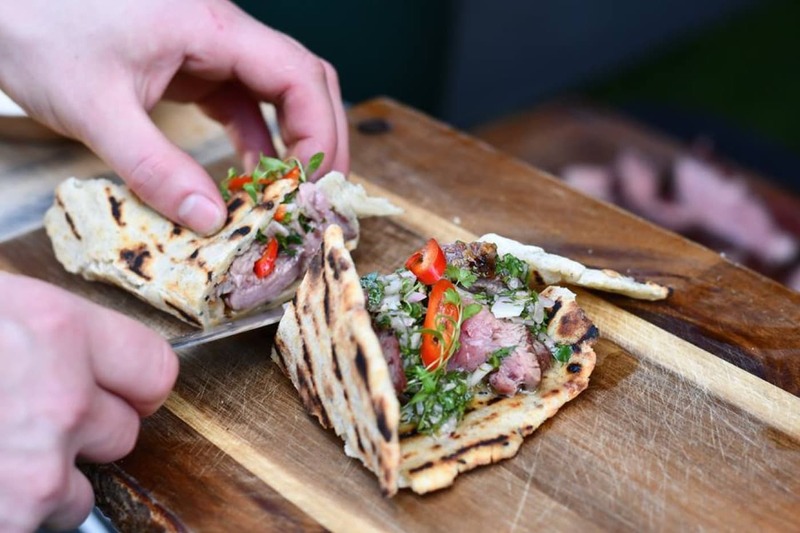 Their barbecued hoisin pork belly taco with pickled red onion and lime sour cream is also not something to be missed and will revolutionise the way you approach your own garden grilling shrine forever. 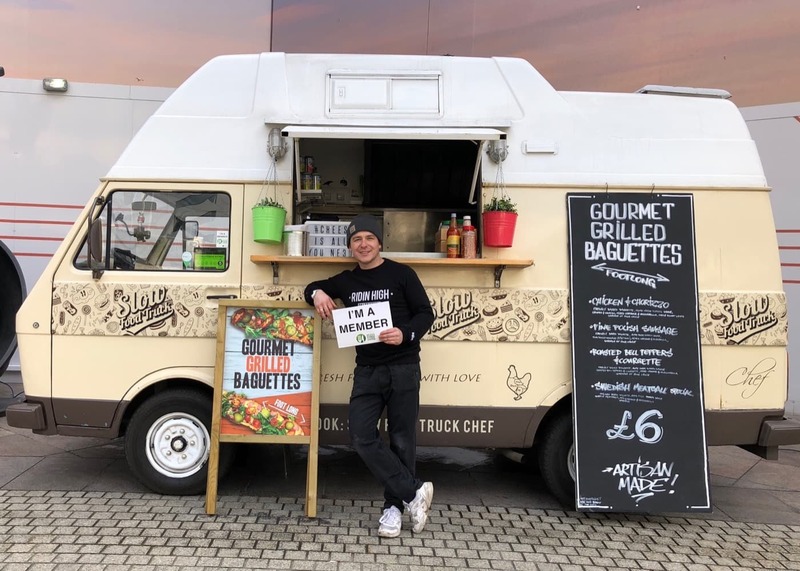 To book any of these exciting traders to be the showstopper at your next event, simply request to book them on their profile or fill out our simple enquiry form and one of our events pros will give you a call to chat through some of the finer details!